The key driver of the dry-bulk sector is considered China, whose economy in 2015 caused a slowdown in exports. Iron and coal are almost two-thirds of the global dry bulk market and China is the key player in this market. The reason for slower coal and iron demand from the leading global importer in 2015 is the country’s shift from coal-fired power plants to less polluting sources of energy. In 2015, the China’s indicators has shown that the country’s air quality is very poor; therefore, country decided to switch to renewable and cleaner sources of energy, which should not have polluted the country’s environment that much. 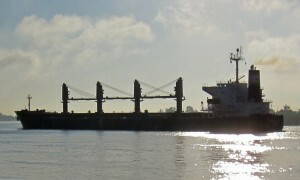 “This is casting a shadow over the thermal coal market, which will have a detrimental effect on bulk shipping demand”. The demand for coal and iron transportation is not expected to increase in 2016 as the trade development in coal and iron ore in China is considered to decrease even further. The economists do not expect any recovery in bulk shipping freight rates this year; yet, in 2017 the sector should return to profitability. The Drewry (2015) forecasts that, the dry bulk trade will contract with only modest growth, which will make for ship-owners difficult to survive the unfavorable market conditions. Economists expect the recovery in 2017 driven by rising demand from developing Asian economies. For example, India has a plan to become self-reliant in thermal coal; however, it still cannot reduce its dependence on imported coal, as the demand rises sharply. The dry bulk market does not seem to be currently in a good condition. Yet, Juros Konsultacijos believes that such threat as the decreased demand for iron and coal transportation is another chance for the company to show its persistence to stay in market. We anticipate 2017, as it will be the year of new opportunities for the company and another life for dry bulk industry.